Start with Two Ivy League Law Degrees, Two Husbands, Five Sons, and Endless Commitments. Add, Love for People, Zest for life, Gift of Organization & Developing Process, Drive to Achieve and Succeed, and Ideals to Make this World a Better Place. What to do with all of these ingredients? In August 2011, Cindy and Nicole met at an alumni event for The University of Pennsylvania Law School. Nicole, a co-chair, of the Colorado Chapter, organized the event and, amidst the throng of judges, partners, and other professional success stories, introduced herself as “CEO of the Home” while reminiscing that she most enjoyed negotiations in her prior professional life. Cindy, who had recently taken on the same title, could relate. Like many great stories, our eyes met across a crowded room (of mostly male attorneys) and we bee lined to meet one another. We are both petite, high energy, and animated. The conversation started that evening and there is no end in sight. We are wives and moms, as well as highly educated and practiced women. We both practiced law at big law firms, and tried working on the corporate side as well as the small-business/entrepreneurial side. When babies came into the mix, we both made the choice to prioritize our roles as mom. We felt fortunate to have that choice and opportunity, but we felt something else too. Not the easiest of emotions to name or feelings to title, but along with the joy and challenge of raising babies, there was a yearning to utilize our gifts and talents outside of the home. Initially, we explored the possibility of developing our love for negotiations into a professional practice. For several months, we rode an exciting, and at times frustrating, ride in an attempt to partner with and help grow an existing practice. The adventure came to an abrupt halt when we realized that fitting a square peg in a round hole is not a recipe for success. Our spirits were dampened but not broken. Along the way, we had discovered a strong entrepreneurial spirit as well as great complementary capabilities in one another. We remained motivated and determined to create a venture that would enable us to thrive professionally and personally. Over the next four months (while Cindy grew Baby Mahlberg #2), we brainstormed a myriad of ideas. In June 2012, we were inspired by Anne-Marie Slaughter’s article “Why Women Still Can’t Have It All” published in the Atlantic. Ms. Slaughter’s admonition that, “[w]e must insist on changing social policies and bending career tracks to accommodate our choices, too. We have the power to do it if we decide to, and we have many men standing beside us” resonated deeply. We recognized our own struggles, challenges, and convictions in Ms. Slaughter’s article, and from that a calling to use our collective strengths to gather stories and create resources to inspire and empower educated and professional women to thrive in their work-life mix. 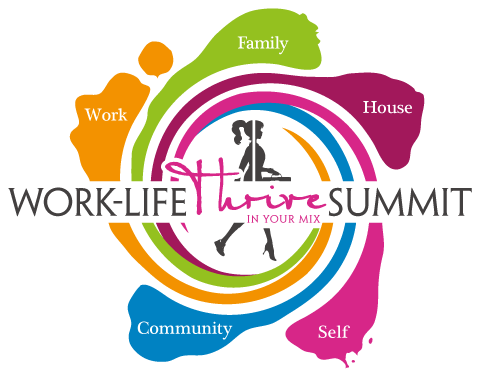 We believe that work-life balance is a misnomer, but that an individual thriving mix is a reality, with the proper support, resources, and sense of humor. Voila! 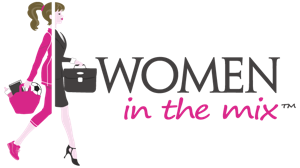 Women In The Mix is now ready to serve!